It’s impossible to imagine the British tradition of Afternoon Tea without fine chinaware. If you’ve taken a food tour of London or been exploring the food scene in Britain, you won’t want to miss learning more about its famed pottery and fine china. And there’s no more famous line of fine china, porcelain and accessories than Wedgwood, founded in 1759. 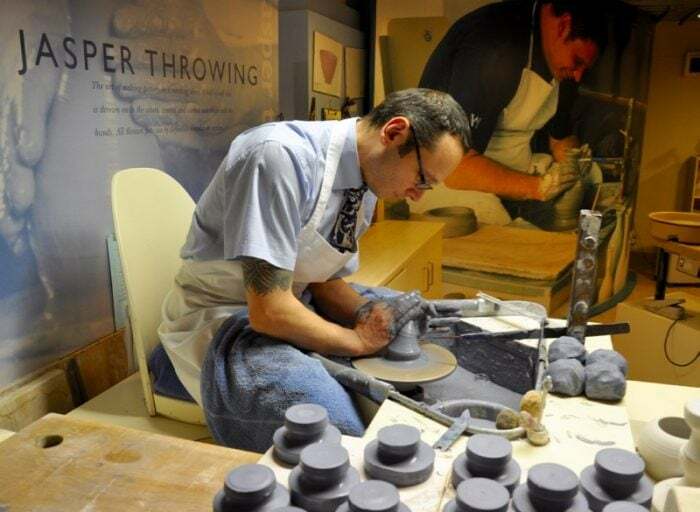 You can learn all about the company’s history, enjoy afternoon tea, shop for china in the factory store and even try making your own pottery at the fascinating Wedgwood Museum and Wedgwood Visitor Centre in Barlaston, Stoke-on-Trent. Note: I learned a lot during my visit to the Wedgwood museum — notably that the correct spelling is “Wedgwood” not “Wedgewood” as I’d originally thought. Josiah Wedgwood founder of Wedgwood china was also the grandfather of Charles Darwin! There’s no better place to learn about fine china, than the Stoke-on-Trent area in the heart of England. Known as “the potteries”, this collection of small towns north of London developed as a centre for pot making in the mid 1700’s, when enterprising locals began digging clay from the side of the road to make their primitive wares. The resulting potholes filled with water and were a travel hazard for horse carriages, but a fledgling pottery industry was born. With plenty of local clay and coal to fire it with, Stoke’s industry grew to produce stoneware and bone china by some of the world’s finest craftsmen. It was also home to Wedgwood, a leading luxury ceramics company. It makes an ideal place to visit if the weather is poor or in the off-season as it’s entirely indoors. Check here for more ideas for the best UK winter breaks. The Wedgwood Museum and Factory Visitors Centre was the centre of the company’s 250th anniversary celebrations. Full of history, British culture and interactive exhibits, the museum proves you don’t have to know a thing about pottery to enjoy a visit to Stoke-on-Trent. Your education begins as you pass through the pastoral Staffordshire countryside enroute to the Wedgwood estate. 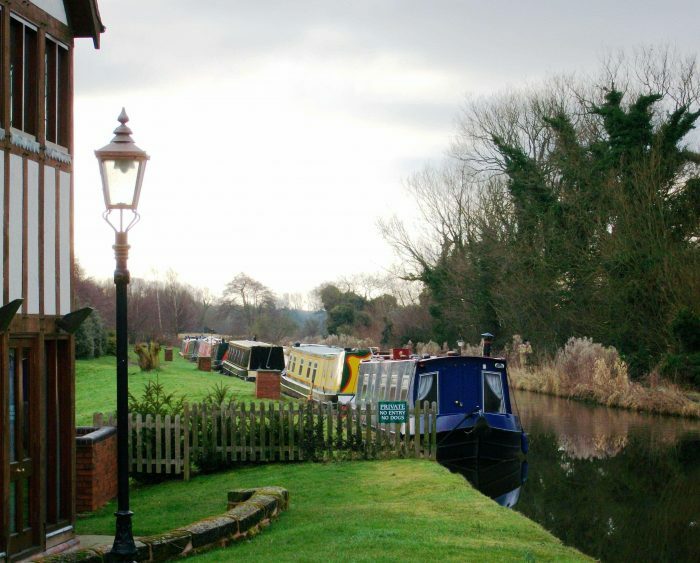 The picturesque canals, now populated by ducks, swans and bright barges, were originally constructed to transport raw materials and finished product from the potteries. They reduced breakage by allowing the delicate china to travel by water instead of packhorses to faraway ports and overseas. Once the railway was built, commercial use of the canals declined but they remain a scenic legacy of the industrial era. Built by an independent non-profit museum trust, the Wedgwood Museum’s contemporary design and unique interactive exhibits house 6,000 artifacts from three centuries of design and production innovation. Displays are organized chronologically from 1730 to modern times. 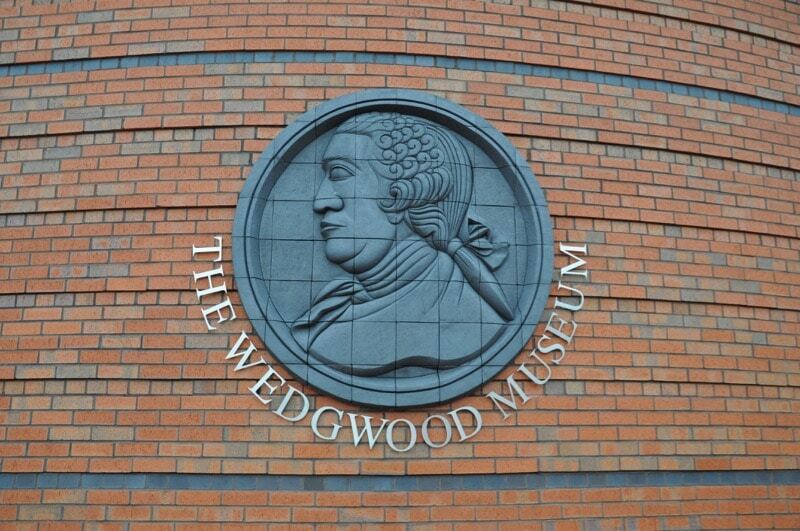 Visiting the Wedgwood Museum begins with an introduction to the founder of Wedgwood pottery. One of the world’s first tycoons, Josiah Wedgwood had humble beginnings. Born to a family that manufactured primitive pottery, by six years old he was an apprentice in his family’s struggling business. By 14, he had suffered a bout of smallpox that weakened his right knee — a disastrous circumstance in an industry where economic survival depended on a potter’s strength to use a treadle wheel. This disability forced Josiah to concentrate on innovation in technology, design and marketing. Continuous experimentation with firing techniques and clay resulted in new earthenware called creamware. In 1765, Queen Charlotte granted permission for it to be called “Queen’s Ware” and with this marketing coup, Wedgwood’s business boomed and he was able to build Etruria Works, a progressive new factory. 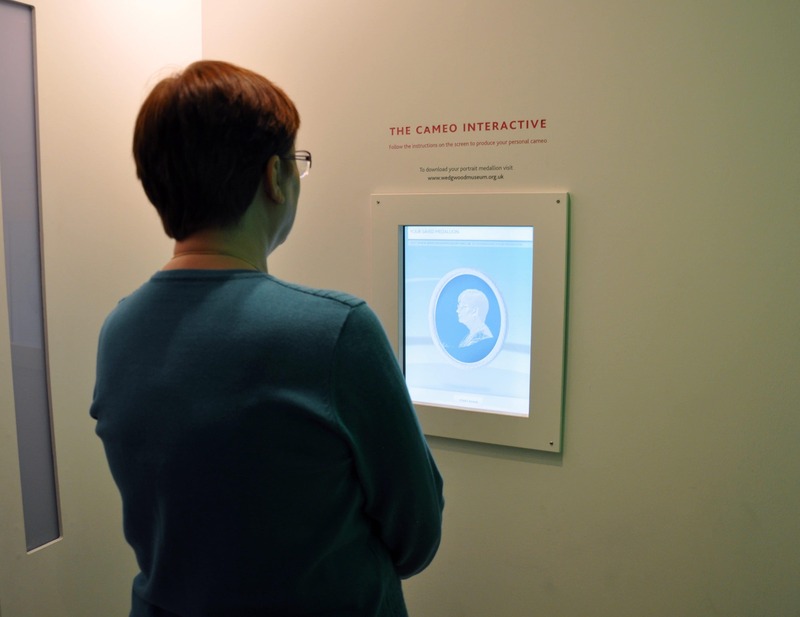 Today’s visitors can take a virtual “magic carpet ride” and experience a bird’s eye view of that factory. They can also explore the secrets behind the development of the iconic blue and white Jasperware, the first significant innovation in ceramics since the discovery of porcelain by the Chinese nearly 1,000 years earlier. Josiah Wedgwood’s innovations didn’t stop at science. He also introduced new marketing concepts such as money-back guarantees, travelling salesmen and showrooms. A fair employer, he instituted employee health insurance and pension plans which heralded in a new era of workers’ rights. Wedgwood’s crowning achievement is the Portland vase, a copy of the original from Alexandria c. 27 BC. After his death, the company went on to produce buttons, vases, medallions and cameos. Ever wondered what you might have looked like on a Wedgwood blue cameo? Find out at a unique display where you select the background, a computer takes your snapshot and transforms your silhouette into a cameo-like image. Download a computer file online the next day and email your Wedgwood “cameo” to those back home. The Wedgwood eye for style has been key to the company’s success. The museum showcases a range of lucrative lines such as the fantastical Art Deco Fairy Lustreware, designed by potter Daisy Makeig-Jones from 1915-1931, which can fetch up to $57,000 per piece at auction. In the swinging 1960’s, Wedgwood remained in the vanguard of modern design by featuring designs by Susie Cooper, a modernist known for her flamboyant colors. Newer pieces, such as those produced for London’s Fashion Week, are as hip as it gets. If you find your fingers itching for some hands-on pottery time, head next door to the Wedgwood Factory Visitors Centre in Wedgwood World. There you can talk with artisans, many of whom can trace their family connections with Wedgwood back to the 18th century, and watch their painstaking work. For an extra charge, you can even make your own pottery. Throw a Jasperware pot on the wheel, paint a piece of pottery or decorate a vase (extra cost)– you’ll find it challenging, but skilled and patient demonstrators are on hand to help. 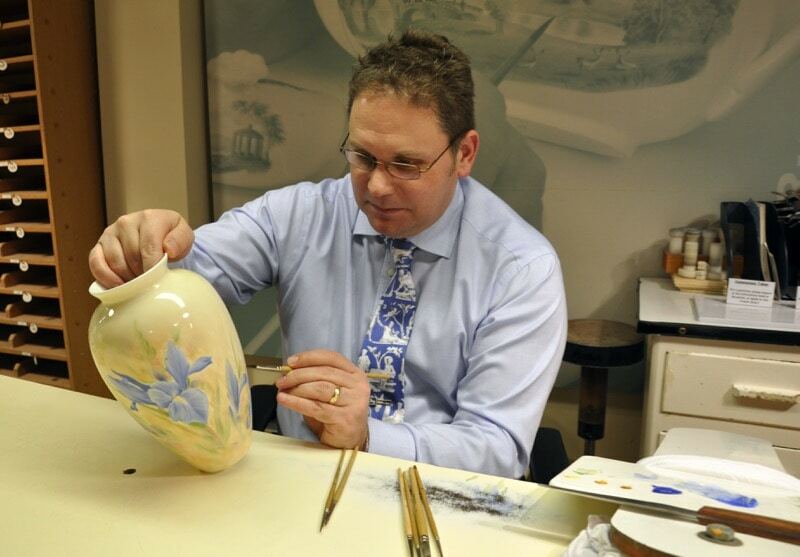 Once you’ve created your own unique souvenir, Wedgwood will even ship your work of art home for you (in the UK). Round off your visit with lunch featuring locally-sourced fare or an indulgent afternoon tea. 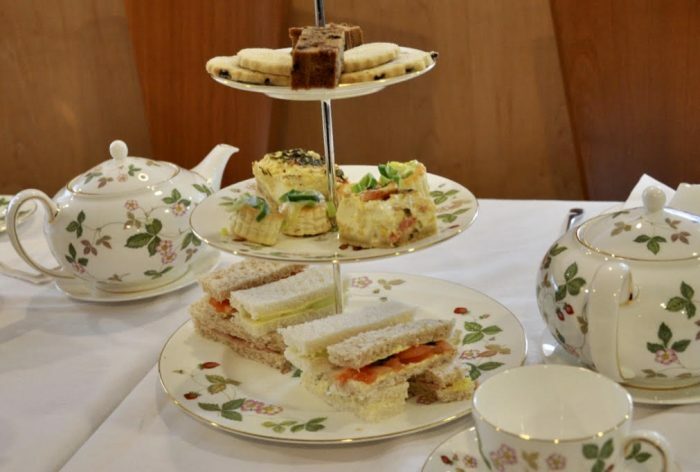 One of the highlights of this elegant experience, in addition to the selection of sweet and savoury sandwiches and pastries, is the Wedgwood tea and fine Wedgwood chinaware used for the tiered cake stands, teapots, cups and saucers. While in the Stoke-on-Trent area, it’s well worth stopping at some of the other unique museum and other nearby sites. Although the giant bottle kilns are long gone from the Wedgwood factory, a few still remain at the nearby Gladstone Pottery Museum. History and architecture lovers will appreciate the atmospheric setting of this open air museum, which was the site of the Gladstone China Works. It is now preserved as the last complete Victorian Pottery factory in Britain. Amid the red brick kilns blackened with soot, it’s easy to imagine the hardships endured by workers toiling in the industrial age. Travellers interested in learning more about Britain’s industrial past should also stop at the Ironbridge Gorge World Heritage Site in nearby Shropshire. It was the hub for 300th anniversary celebrations of the birth of the Industrial Revolution. 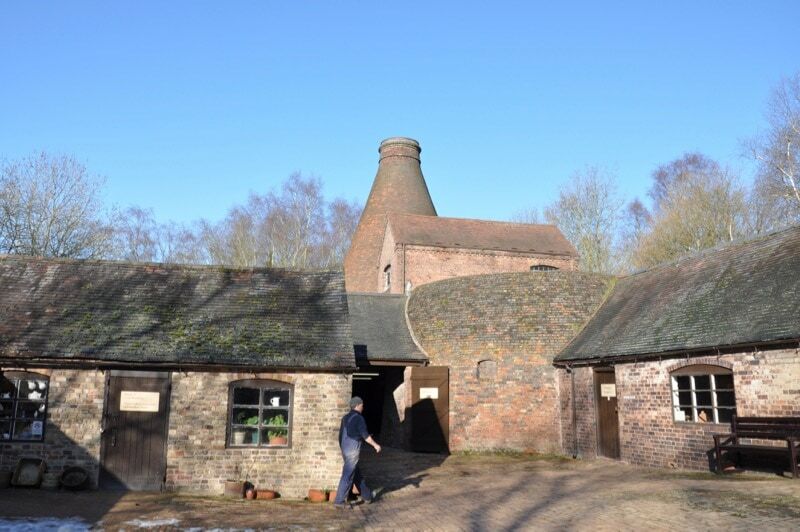 Set amid an area of stunning natural beauty, the site holds 10 fascinating museums including a recreated Victorian village, the Jackfield tile museum and the historic Coalport potteries with their towering brick kilns. With the advent of cheap, mass production methods many such producers of fine china eventually disappeared. 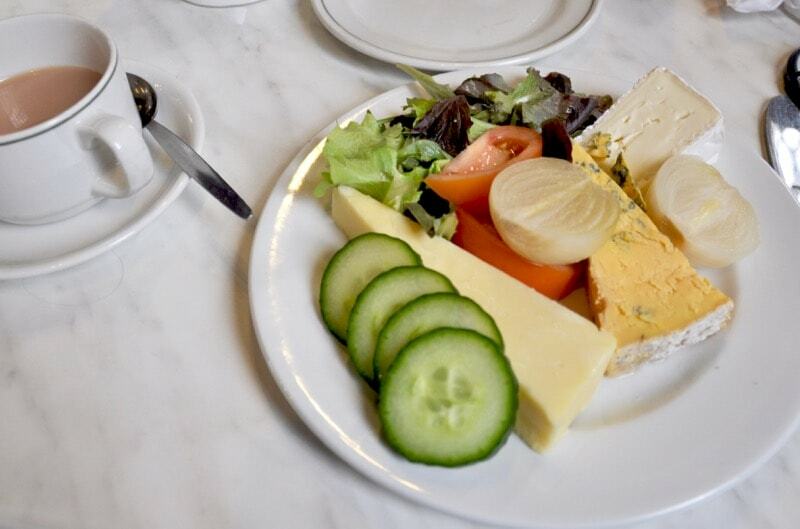 While in Stoke-on-Trent, be sure to make time to stop for a lunch in one of the many small cafes and restaurants. Dishes to watch for include a Ploughman’s Lunch, the best cheese, charcuterie, chutney and pickle platter you’ll ever try, and Welsh Rarebit, perfectly toasted bread topped with a heavenly mix of grilled melted cheese, beer and English mustard. While there, it’s also worthwhile exploring Great Malvern, a hillside spa town that reached its heyday in Victorian times. It was a popular destination for those seeking refuge from the polluted skies during industrial times. Florence Nightingale, Charles Darwin (the grandson of Josiah Wedgwood) and Queen Victoria were all fans of visiting the spas in Malvern. They believed the “Water Cure” — which consisted of hiking and sipping water drawn from the 100 ancient wellsprings that dot the Malvern Hills — could treat persistent illness such as arthritis, tuberculosis and other ailments. Today, although all of the original water cure establishments have long disappeared, it’s possible to enjoy hiking the hills, sipping the waters and experiencing spa treatments at the Malvern Spa Hotel. This stylish facility offers a natural hydrotherapy pool, a salt grotto, herbal steam rooms and cold treatments at the base of the hills. 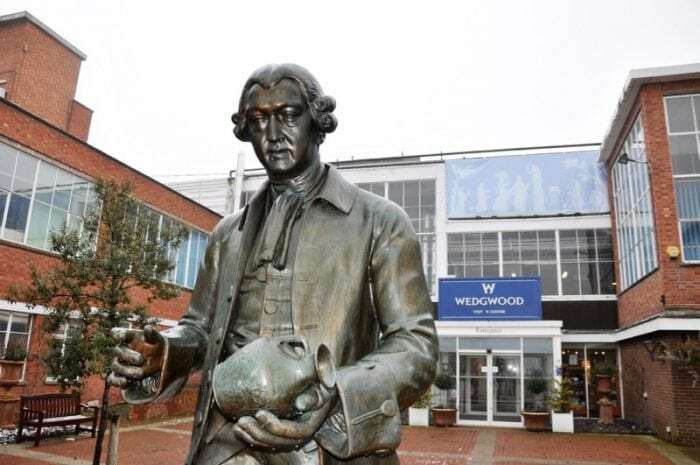 Whether you choose to visit the Wedgwood factory, the Wedgwood museum or other potteries, visitors to Stoke-on-Trent will discover that Wedgwood’s history is much more than just the story of a pottery company and the inspiring man who founded it. Rather, it is an integral part of the history of the Industrial Revolution and of many aspects of British culture and society. 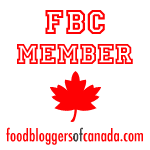 Air Canada flies direct to London Heathrow airport. Overnight in London before heading to Stoke-on-Trent and for convenience, choose a hotel that offers easy connections to the airport and/or train station. The luxurious Athenaeum Hotel on the Piccadilly line, is in Mayfair within easy walking distance of parks, shopping and Kensington Palace. 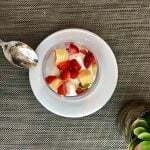 It also offers an elegant afternoon tea. The Radisson Blu Edwardian Berkshire offers stylish accommodation at reasonable rates as well as proximity to the bustling shops of Oxford Street. Independent Travel: By rail to Stoke-on-Trent, the journey is less than 2 hours from London’s Euston Station. Visit www.BritRail.com or call 1 866 BRITRAIL. It’s a 15 minute taxi ride from Stoke to the Wedgwood Museum and Wedgwood Visitor Centre. The World of Wedgwood and the Wedgwood Museum: Operated as an independent charitable organization, the Wedgwood Museum in Barlaston near Stoke-on-Trent, houses some of the world’s finest Wedgwood pieces. The Moat House: The historic 14th century Moat House Hotel has a scenic canal side location in the village of Acton Trussell, south of Stafford. 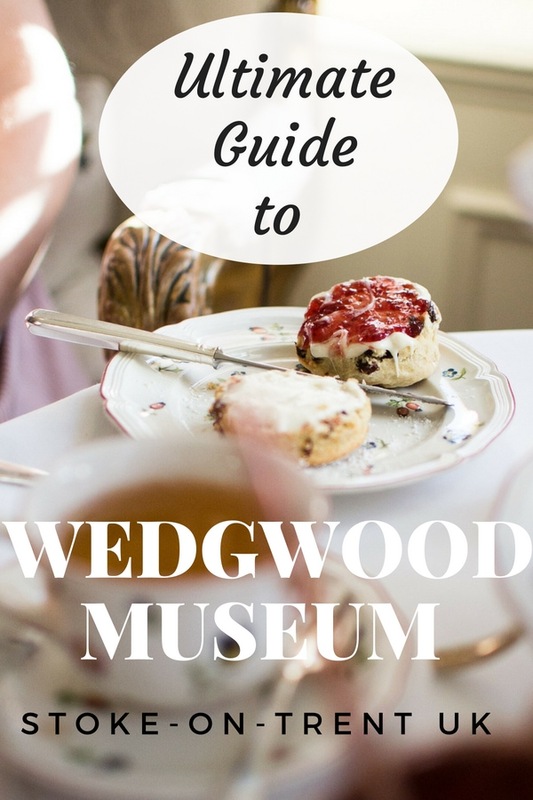 Allow 45 minutes travel time to the Wedgwood Museum. 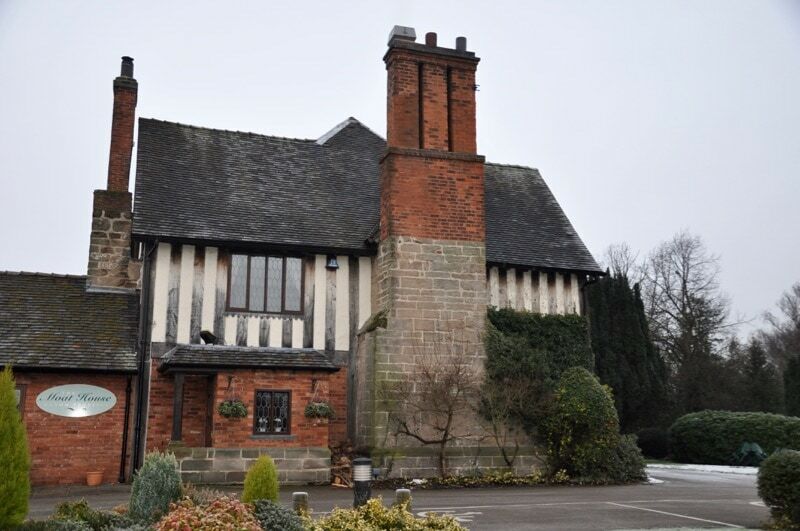 The Moat House is our top choice for food-lovers. Not only do they offer a luxury Afternoon Tea ( including a Gentlemen’s version with ale, cheeses and black pudding), but there’s an onsite pub and the acclaimed fine-dining restaurant with a fixed price menu. It’s also got one of the most expansive vegetarian and vegan menus I’ve seen. Check for best prices on the Moat House Hotel on Hotelscombined.com, a free search engine that compares prices on Expedia. 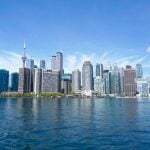 Booking.com and other hotel booking sites, to find the lowest price saving you hours of searching. Best Western Stoke-on-Trent Moat House: This economical Best Western Hotel is a 15 minute drive to the Wedgwood Museum. Check for best prices on the Best Western Stoke on Trent Moat House on Hotelscombined.com, a free search engine that compares prices on Expedia. 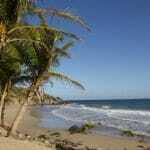 Booking.com and other hotel booking sites, to find the lowest price saving you hours of searching. The Malvern Spa Hotel: This contemporary 32-room hotel includes access to the hydrotherapy pool, hot and cold spa facilities, gowns, slippers and towels. Check for best prices on the Malvern Spa Hotel on Hotelscombined.com, a free search engine that compares prices on Expedia. Booking.com and other hotel booking sites, to find the lowest price saving you hours of searching. What an interesting post. Wedgwood pottery not only looks exquisite but, with the Gorge World Heritage Site and Malvern Hills and Spa, provides such an intimate look at the Industrial Revolution. 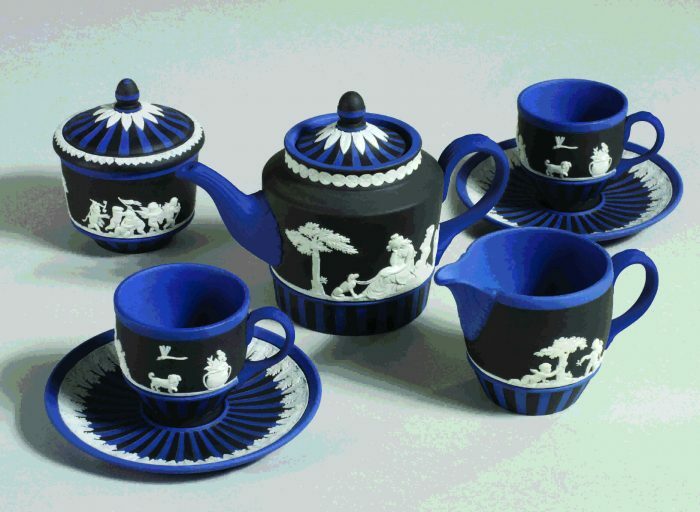 I would love to visit the World of Wedgwood. It looks so very interesting. Thx for the share. Well, I’ve added the Wedgwood Museum tour and Stoke-on-Trent to my travel to-do list. Would love to visit and especially to experience that tea time! Ooohh… I so want to go here! My only visit to England was in 1991. I have two small Wedgwood plates. One is of Queen Elizabeth (purchased in England) and the other is of Princess Diana (purchased online after her death). Your comprehensive article was so interesting. I’ll be sure to put it on my list when I get back to England! What a unique museum! When we recently downsized, I had to part with my Jasperware. I’m sure someone else is enjoying it!